It is officially spring and I have welcomed the season in true South Louisiana style. 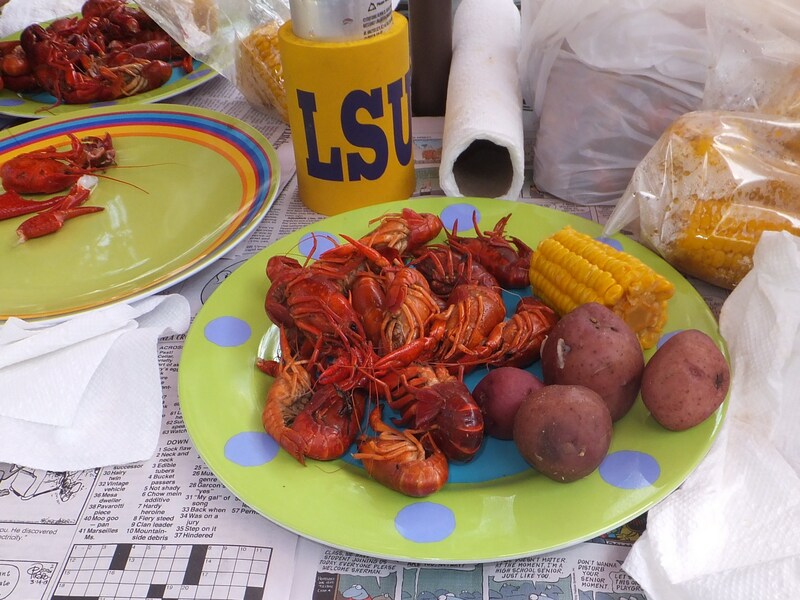 Last weekend I enjoyed my first Abita Strawberry Harvest lager and my first boiled crawfish of the year. Yum! a crisp lager with a sweet strawberry flavor, aroma and haze. It is wonderful with desserts or lighter fare such as salads and pastas. Fresh cheeses such as Burrata, chèvre, Crescenza, mozzarella or Teleme pair well with Strawberry Harvest. Sounds pretty fancy for a beer, huh? So even I know better than to drink it with crawfish. No . . . 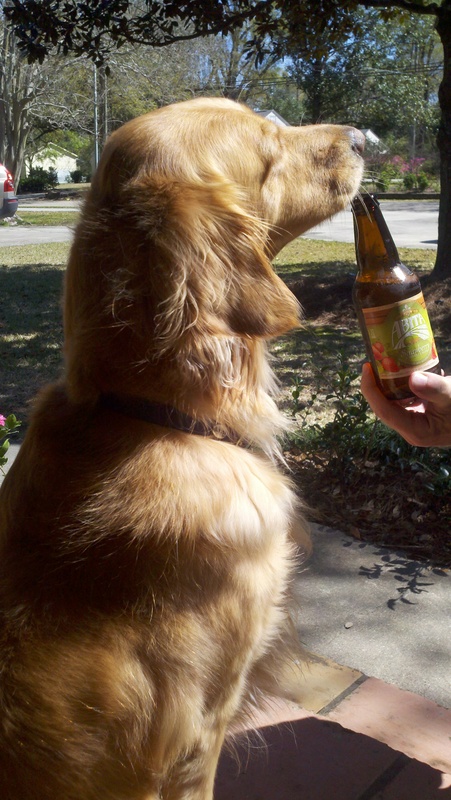 I save the Abita Strawberry Harvest for after a hard day of spring gardening with my human mommy. It’s just the right refreshing treat to enjoy as you relax at the end of a hard day of weeding, pruning, planting, mulching, or whatever else she does while I sit loyally by her side and watch. 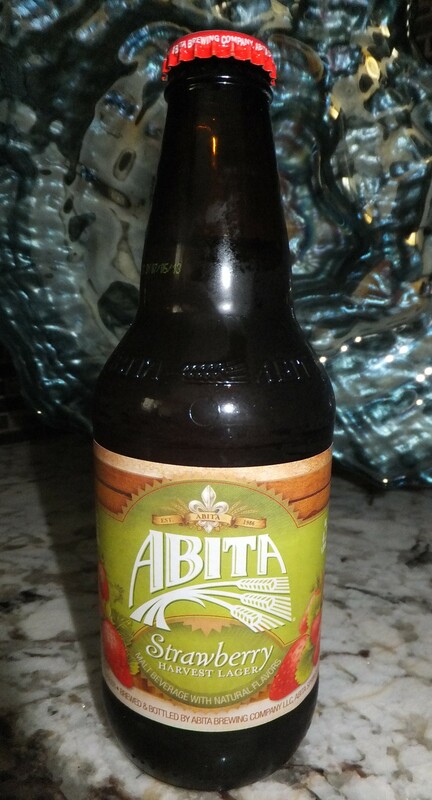 All I know is that as soon as the gardening tools are put away, the Abita Strawberry Harvest comes out and I get a little taste. Just one of the beautiful things about spring in South Louisiana. Do not wear your best clothes. Crawfish guts will somehow manage to get on your clothes and, no matter what detergent you use, crawfish guts do not wash out easily. No matter how many paper towels you have on hand, you will need more. This is not a neat treat to eat. 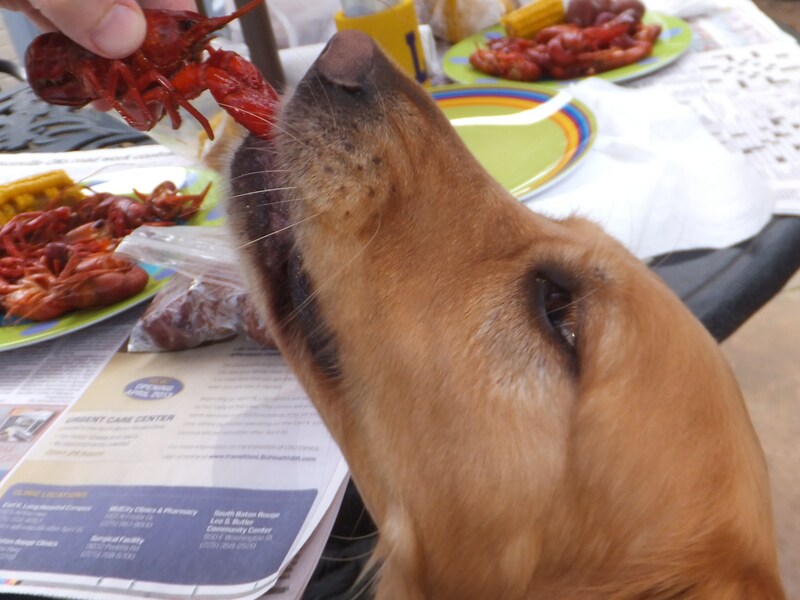 Above all, if you are eating crawfish at home, it is vitally important to plan your consumption for a day that is as close to your trash collection day as possible. There are few things that stink as much as crawfish shells and stuff that have sat too long in a trash can. I am a dog, and even I am repulsed by that smell. So, even though for many of you spring my seem like a distant dream with all of the crazy non-spring-like weather, and for others who live below the equator you still have your winter to endure before spring appears, I wish you a beautiful and tasty spring from South Louisiana. Bon appetite, and let the “springtimes” roll! YUM — from the beer to the crawfish to the potatoes, I’m so there! I love micro brews as well as hearty beers, especially those fermented with fruit such as the lambics (which most people don’t even believe it’s beer, thinking it’s champagne or a wine cooler). Last night I had a black and tan, but we have several other types in the fridge. And you look so cute in that bottom picture — I just want to give you a big kiss!! My beer/crawfish breath might make you think twice about that kiss! I would send some crawfish to you, but I don’t think they’d be very good by the time they got to you. Have a great weekend! YUM! When can we come for a visit? Of course. The more the merrier! We will have crawfish tomorrow thanks to you! What a perfect way to celebrate a spring Saturday. Remember to wear your old clothes! I think we’ll all have to live forever to get to everything on our ever-growing bucket lists! You’re very lucky spring has arrived where you live. It’s still winter here or at least it still feels like it at -7C and lots of snow on the ground. My Mom and Dad would love to sit out on the deck and try that beer – they love beer. I would love to try crawfish but I’m not so sure about the beer. Sprig will reach you eventually. We have to enjoy spring here because by mid-summer we have temps and humidity in the 80s and 90s. Miserable, especially when you have your own fur coat! Double yum! And a happy spring to you too! Happy spring to you too, Sage. Think of all the wonderful mud puddles those spring showers will bring! We have been to south Louisiana, and New Orleans 4 time and really love it there. Nothing like Ohio, lol. Sorry to say I have not developed a taste for crawfish. I know, I’m sorry! You really do have Spring, leaves on trees, short sleeves, flowers. – really beautiful. I hope we get one this year!? It’s ok if you don’t like crawfish; there are plenty of other really good things to eat here! We are having an unusually pretty spring here. I’m sure it will find you soon. Have a great week!